Levenger has long been on our short list of places to go for nice paper notes, ink pens and notebooks. Even with all of our electronic note taking hardware, personalized paper and the feel of pen on that paper has it’s place. To stay current, Levenger has a line of stands and bags for our iPads too. 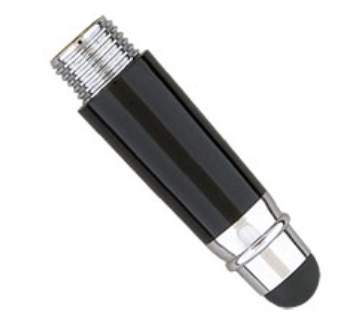 Now, there is even a nice group of Pen/Stylus combinations called the L-Tech Plus. One end is a stylus and the other is a pen. 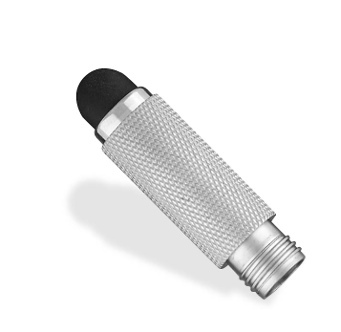 The ‘pen’ end of the L-Tech Plus can be a Roller Ball, Fountain or Twist Ballpoint. If you have a regular L-Tech pen that doesn’t have a stylus end, Levenger offers a nice screw in tip so now your favorite ‘pen’ in your pocket can be used with your iPad too. 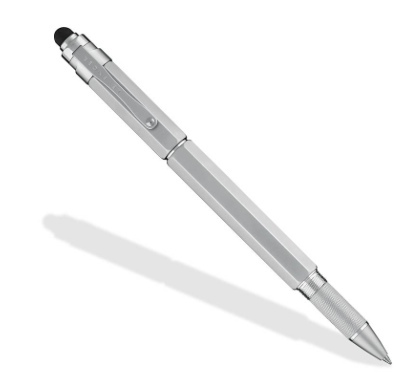 Levenger brings an iPad stylus to more than the L-Tech line, they also have a tip for the ACME line of ink pens too. ACME pens are very colorful, thus everyone has a favorite. Now, keep that personalization when writing on paper or on the iPad!